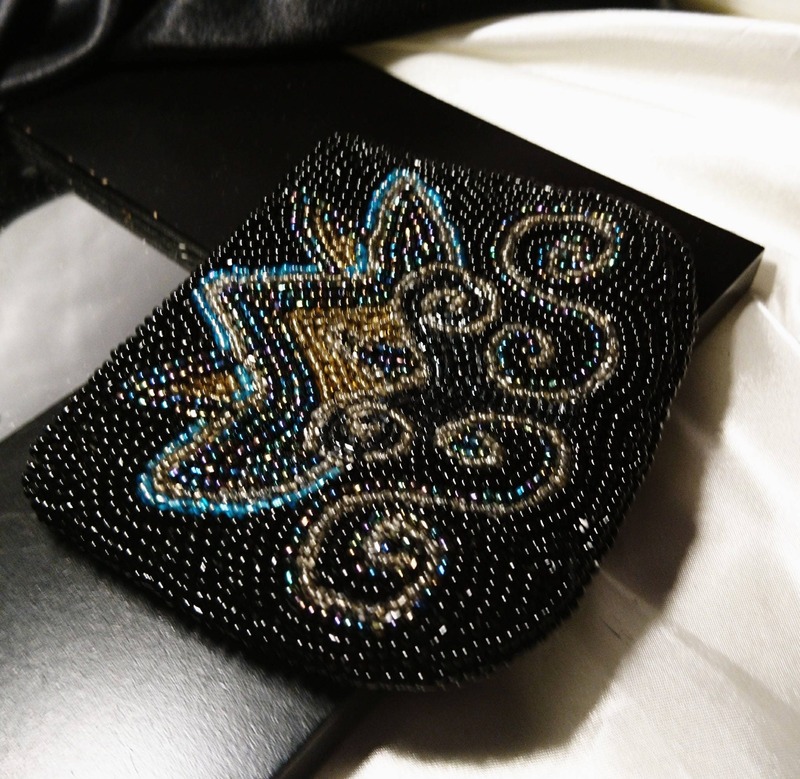 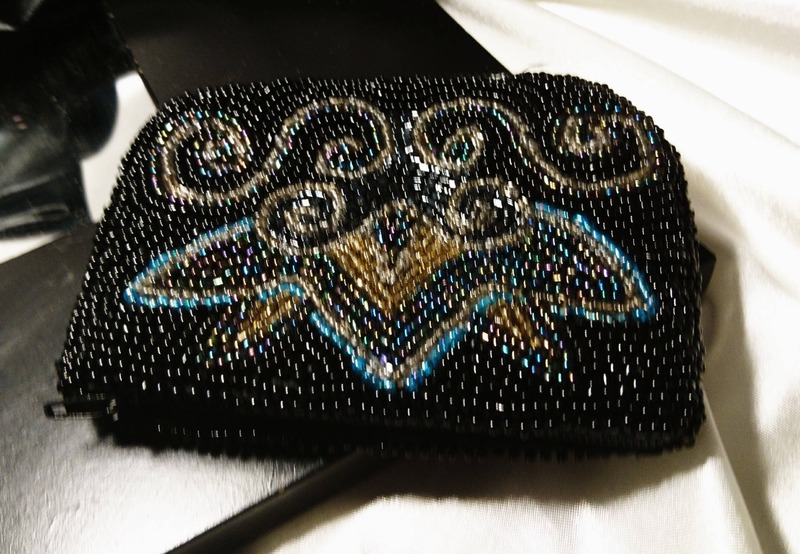 A gorgeous 50's beadwork coin purse. 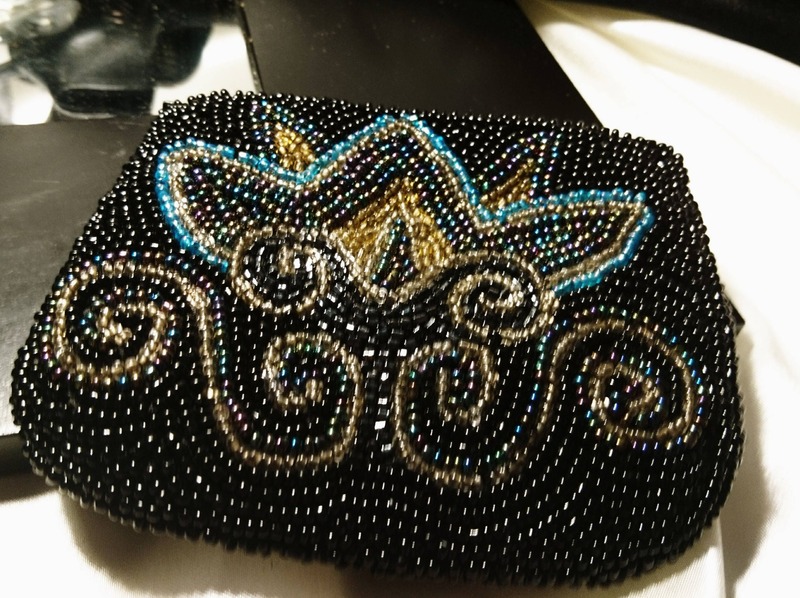 This purse is entirely covered in beads, a black background with multi coloured and metallic beads for its a lot flower pattern. 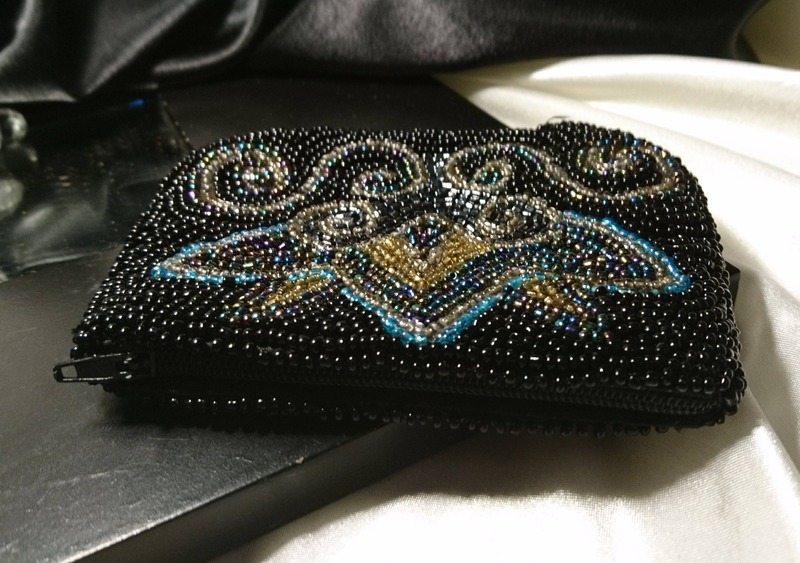 It has a zip closure and is lined with black cotton fabric. 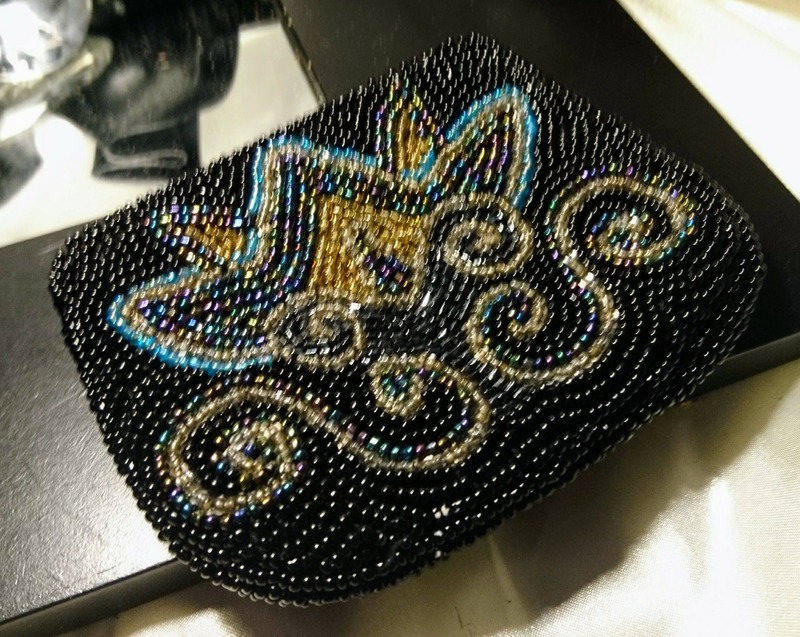 Approx 4.5" width and 4" height.